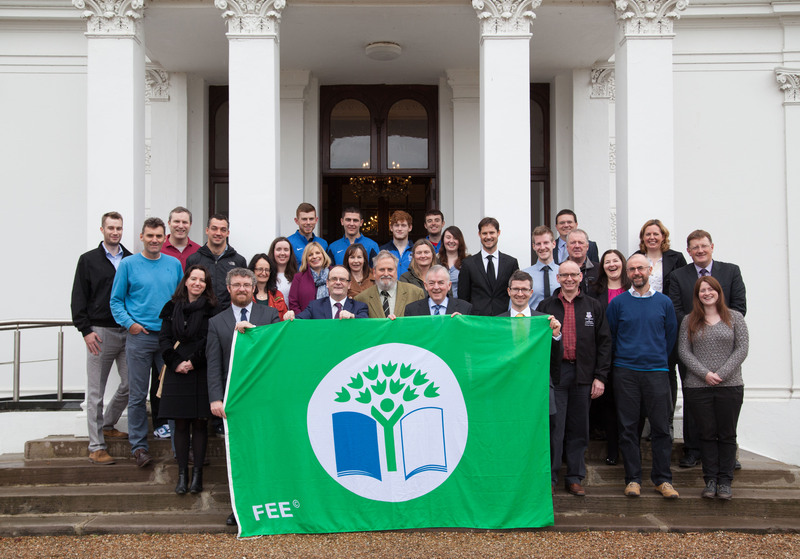 Earlier this week the University of Limerick was awarded Green Campus accreditation by An Taisce. 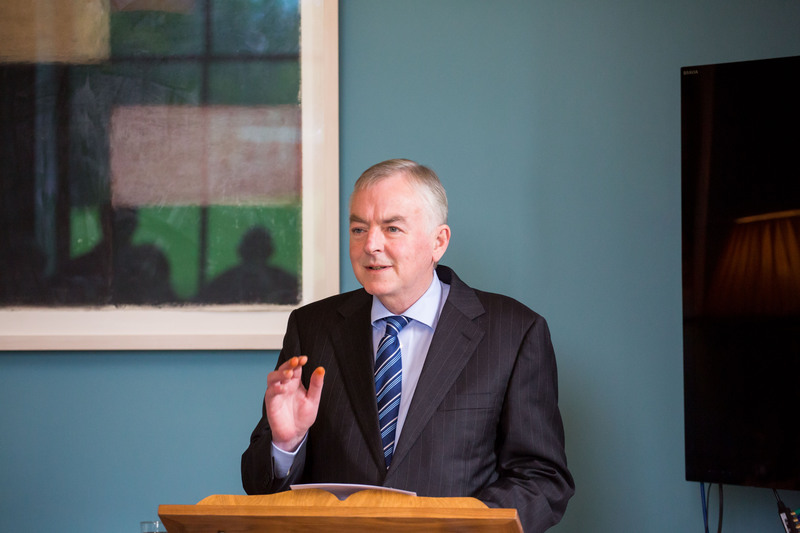 The official award ceremony was held in the Boardroom of Plassey House and attendees were addressed by the President of UL Prof Don Barry, the Chairperson of the Green Campus Committee (and Director of Buildings and Estates) Mr Robert Reidy and the Director of the Environment Education Unit at An Taisce Dr Michael John O’Mahony. Pictured with Prof Don Barry below are Dr Michael John O’Mahony of An Taisce, Mr Robert Reidy (Chairperson of the Green Campus Committee), Charles Stanley Smith (An Taisce) and members and collaborators of the Green Campus Committee. 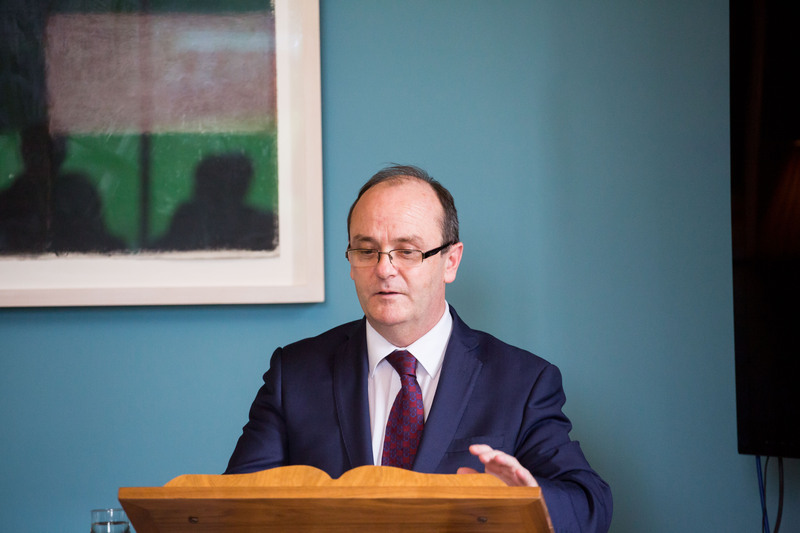 Dr Michael John O’Mahony of An Taisce (pictured below) said UL joined an elite group Green Campuses by achieving this internationally accredited award. Robert Reidy, Chairperson of the Green Campus Committee thanked all Green Campus committee members for all their hard work and committed to undertaking the remaining Green Campus themes of Waste and Water. 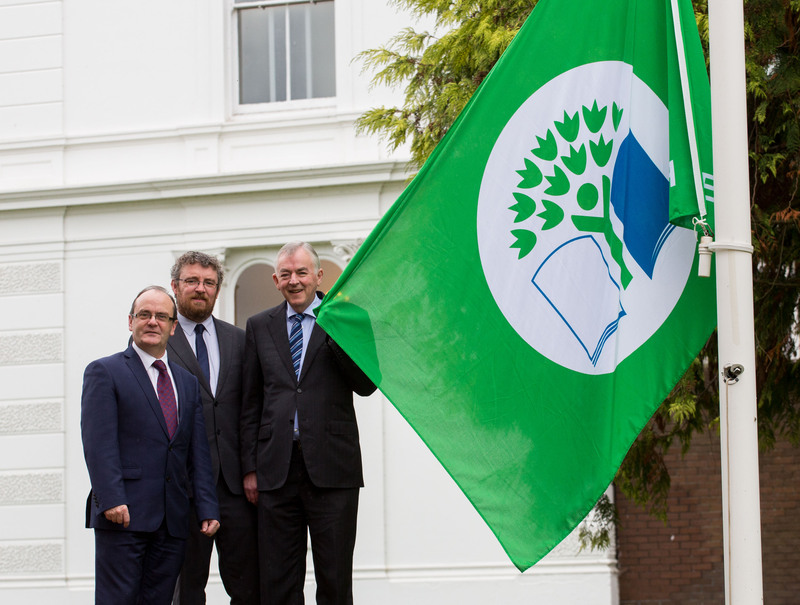 The President raises the Green Flag outside Plassey House! This entry was posted in Uncategorized and tagged Biodiversity, Curriculum, Energy, Travel & Transport. Bookmark the permalink.